Christopher Booker here has finally located the provenance of the IPCC’s claim that 30-40% of the Amazon forest was supposedly sensitive to small variations in precipitation. IPCC, Woods Hole and others have put out a lot of disinformation on this. Richard North located the claim in an archive of a 1999 webpage of IPAM (a Brazilian environmental organization), that was deleted in 2003. This entry was written by Stephen McIntyre, posted on Jul 10, 2010 at 3:38 PM, filed under Uncategorized. Bookmark the permalink. Follow any comments here with the RSS feed for this post. Both comments and trackbacks are currently closed. The Amazon IPCC claim has been vigorously defended by many blogs – Climate Progress, Deltoid and RealClimate are the most prominent. Others are there in line too, but that is a different story. 1) The Amazon IPCC statement is a simple almost word-to-word copy of a statement from a WWF document through its First Order draft, second order draft and final version. It certainly is NOT a considered assessment of the literature available at the time. Unsubstantive changes were introduced in between the drafts changing the meaning of the sentence. 2) All organizations, individuals and press releases defending this statement carefully avoided mentioning the fact that the sentence was in turn copied over from a educational web page. *This is the real Amazongate*. The lone exception here was Dan Nepstad – who spoke the truth. WWF, Andy Rowell, the IPAM all must have known of the origin of the statement but failed to explicitly mention it. Nobody lied, but nobody told the truth either. 3) We then tracked down on a IPAM publication by the name ‘Flames in the Rainforest’ also from 1999. The publication is available on Google, only for search. We were able to show that the sentence is not contained therein. 4) The final thing was the trackdown of the ‘Fire in the Amazon’ on the Internet Wayback Machine. Gareth did this one. It’s important not to lose sight of the fact that Leake _did_ misquote Lewis in the original article. Whether or not the ST’s retraction and apologia were appropriate is a slightly different matter, as is whether the ST should re-publish Leake’s article, without the Lewis sludge, but with extra moosetracks and chocolate sprinkles. Knowing what we NOW know, I think it would be a shame if the ST didn’t “get angry” and properly cover this story again. Simon Lewis’ complaint to the PCC comes with a word-to-word reproduction of the entire correspondence between Lewis and Leake. Leake did not misquote Lewis – check it out yourself. The only problem, if it is indeed a problem is that Lewis was read out a version of the article and a slightly different version appeared. But as an expert, Lewis does not have the final say, a fact he seems to entirely gloss over. The key is the fact that Leake asks Lewis’ opinion as an Amazon expert as to whether the IPCC was substantiated in the proper way. Lewis instead offers his expert opinion about the statement itself (!). This total surprising turn is what’s to be noted. If Lewis says the IPCC claims “may still be true”, does that mean that he has “acknowledged” them to be correct. I’ve been through Lewis’s PCC submission. There are two main points at issue. First, did Leake misquote or selectively quote so as to misrepresent Lewis? Secondly, is the main substance of Leake’s article correct – i.e. that the IPCC ultimately made scientific assertions based on grey literature, mis-citing the source? I think I have to conclude that: Yes, Lewis was quoted sufficiently inaccurately to misrepresent his view, and; yes, the thrust of Leake’s article with regard to the IPCC is correct. But, further to that, Lewis himself was inaccurate with respect to the source of the citation, both to Leake and to the PCC, since the only source of the 40% claim is the defunct website. Lewis doesn’t come out of this looking good, and the IPCC doesn’t come out looking any better. Give the emails a read once more. Simon’s 31-page letter frames the whole issue from his perspective – forget about it for a moment, (and add to that Leake has never commented on this himself). Lewis is quoted, at three instances – that the IPCC should ban using pressure group literature, that the Rowell and Moore report is “a mess”, and that it “contains no primary research data”. Please check what exactly Lewis’ complaints with respect to each of these three quotes are – you will get to the real heart of the story. Shub, I’m there already! 🙂 One more read, with side-by-side texts, was what was needed. Nope, Lewis wasn’t misquoted. He wasn’t even misrepresented. If he didn’t want quoting on the things he said, he shouldn’t have said the things he did! It’s time the Sunday Times restored the retracted article. Now with added meatballs. Mr Bookers column is a very clear explanation of the importance of “Amazongate”. I trust it will provke ‘crickets’ from ‘the other newspaper’. Woods Hole or Woods Institute? Woods Institute is Steven Schneider’s playpen at Stanford. Ahh, I see from the Booker article that it is “Woods Hole Research Center” which also is not THE famous and respected Woods Hole Oceanographic Institute. Woods Hole Research Center which is apparently an unaffiliated ecology study/advoacy tank and only trades on the famous name is located in Falmouth, Mass., not Woods Hole. Nobre, C.A., Assad, E.D. and Oyama, M.D., Mudança ambiental no Brasil: o impacto do aquecimento global nos ecossistemas da Amazônia e na agricultura, Scientific American (Brazilian Edition), Edição Especial n. 12. This document — not online as far as I can tell and in Portuguese — is cited immediately before the relevant sentence in question in the IPCC WGII Ch. 13 and Nobre is also a lead author of that chapter, suggesting that he may have wrote that section. Were I to be laying odds, I’d say that there is a good chance that the origins of the “forty percent of the Amazonian forests . . .” claim can be found in Nobre et al. rather than the WWF trail pursued by North (though there of course could be a common origin). If anyone has access to Nobre et al. 2005, would be interesting to see what it actually says. The Nobre et al 2005 paper (link in my comment below) would actually refute the IPPC claim of 40%. Don, sorry but that is a different paper. The Scholze et al. paper uses the number 40% but to make a different point. Rodger, I agree with you not only on the “Ghana Got Screwed” issue. Of course Nepstad has provided more than adequate evidence that the statement was justified. What version of which statement? It concludes about 11% of Amazonian forest is vulnerable to becoming Transitional forest or savanna, caused ultimately by fires brought on by increased aridity correlating to a CRU Climate Change model. Rodger, Portuguese is is not that obtuse. Em Scholze et al. (2006), o risco de perda da floresta em algumas partes da Amazônia é de mais de 40% para os cenários que apresentam uma anomalia de temperatura maior que 3ºC. Por outro lado, se houver tendência ao aumento das precipitações, estes atuariam para contrabalançar a redução das chuvas devido ao desmatamento e o resultado final seria mais favorável à manutenção dos ecossistemas e espécies. If one were to take the time, you could see the IPCC self reference in most of the article/paper. I believe C.Field1995 is mentioned in a later paragraph. Eurasia, Amazonia, and Canada are >40% for >3°C. This excerpt is not from Nobre et al. 2005 as cited by IPCC. Dr Nobre may be wrong or right in his conclusions, but he is a distinguished researcher and not “just a blogger”. Nepstad has also stated (claim not yet retracted) that 55% of the rainforest would be gone by 2030 “if recent events continue” (meaning the exceptionally high deforestation rate of 2004 and the 2004/05 “drought”). Of course both were exceptional; deforestation occurs mostly outside the core rainforest, and is steadily decreasing in recent years; and even the “drought” was not an actual drought in the vast rainforest core of the Amazon hydrological basin, where average precipitation is over 3000 mm/yr without a dry season, and droughts cause only a moderate reduction of that rate. Besides, there is no evidence of high sensibility of the rainforest to small reductions in precipitation. The paper in Portuguese cited by Intrepid_wanders actually says the overall impact would be positive for the forest. I translate: “[According to] Scholze et al. (2006), the risk of forest loss in some parts of Amazonia is more than 40% in scenarios with a temperature anomaly above 3°C. On the other side, if a trend to increased precipitation were present, rainfall would counteract any decrease in precipitation due to deforestation, and the final result would be more favourable to maintaining ecosystems and species”. It is also to be noted that a detailed study of two river basins, one pristine and the other heavily deforested (Linhares et al, see ref below) show no perceptible effect of deforestation on the hydrological cycle. A discussion of these issues may be found in my recent paper on the future of the Amazon, not yet published but available at http://ssrn.com/abstract=1509603. Linhares, C.A. ; J.V. Soares; D.S. Alves; D.A. Roberts & C.D. Rennó, 2007. Deforestation and hydrology dynamics in Ji-Paraná river basin, Brazil. Anais XIII Simpósio Brasileiro de Sensoriamento Remoto [Proceedings of the XIII Brazilian Symposium on Remote Sensing], Florianópolis, Brasil, 21-26 April 2007, INPE, pp. 6799-6806. I saw your draft version earlier. Very useful indeed to put things in the much-needed perspective. 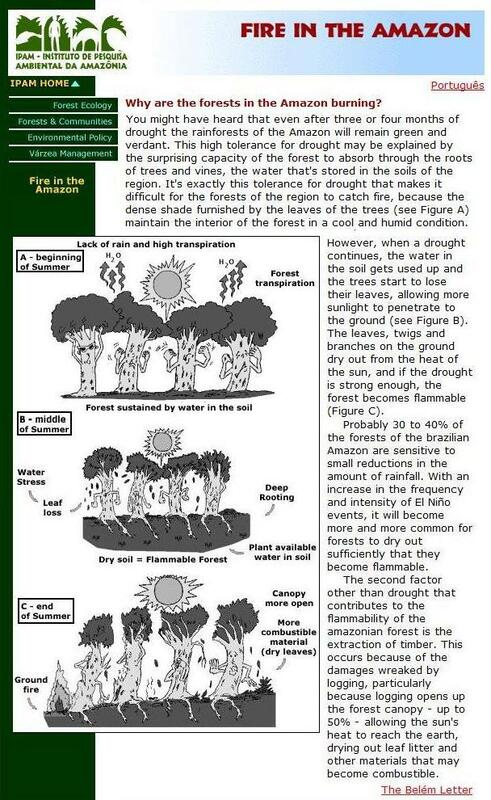 The original IPAM website “Fire in the Amazon” promotes the same idea – that water stress will cause upper canopy leaf-loss. the same Cox article acknowledges that while the mechanism “is well understood” (which may be debatable), there is no indication that it may actually be materialized in the near or more distant future. It is presented only as a hypothesis for which no evidence exists. The very existence of a tipping point nonlinearity, let alone the numerical value of key variables for the tipping-point process to be triggered, is not grounded on evidence. None of the papers discussed following my comment above are actually Nobre et al. 2005. The simple point that I am making is that if you want to trace the origins 40% claim in IPCC 2007, independent of the validity of science behind it, one needs to have a look at Nobre et al. 2005. Thus far, no one seems to have done so. This seems a big oversight on this issue. Nobre 2005 is a Brazilian Scientific American article. While it is obviously difficult to track down this publication (which I am still trying), the statement about precipitation reduction is derived from, and virtually identical to output of model studies, in the primary literature (eg Cox et al, 2004, Bett et al 2004, Huntingford et al 2008 – basically from the Exeter group). These model output data are discussed in the IPCC (preceding para in IPCC cites Nobre, 2004), and there is enough debate in the literature presently that a consensus assessment would come out looking drastically different from what the IPCC report says. (for eg see Marengo 2009 here, see also see IPCC WG2 draft comments here, page no 112 ). All this assuming that we lend support to a poorly derived statement, ex ipso facto. The Marengo paper cited by Shub Niggurath is an excellent study of long term hydrological trends in the Amazon. The main conclusion: there are no detectable trends, but just decadal and multidecadal cycles. Shub, there are a few issues here worth keeping straight. One is the provenance of the 40% claim made by the IPCC. Another is the validity of that claim, given the literature. I have yet to see the former issue satisfactorily resolved, and I don’t find Richard North’s analysis compelling. With regards to the provenance of the IPCC statement, its origins are clearly delineated from the Rowell and Moore report through the IPCC drafts. All expert opinions, in support of the IPCC, either unsolicited or otherwise, have supported the WWF report or offered references which support one or the other part of this integrated IPCC claim, but not the whole meaning of the IPCC passage. The issue of provenance definitely cannot be sorted out by randomly casting around in the literature for a “40%” figure. By your logic, those who did not make this claim (North, others) should go hunting for a reference that matches the IPCC statement, when Nepstad, Lewis, the Boston University press release (which includes Nobre) and the WWF recently, who support the claim, themselves are exempted from the same effort? In fact, it is these sources have only served to confuse the issue and shield the WWF and IPCC by conflating provenance and validity issues. This is what Lewis did in his RealClimate post, and this is what Monbiot did at his blog as well – confusing provenance with validity. For the vast majority of us, the mere fact that a WWF report has been cited in the IPCC is enough of a problem as such. This is the sentiment expressed by Simon Lewis in his emails as well. The validity of the claim on the other hand, as I posted earlier, can be either supported or contested, depending of the literature you cite or wish to leave out. Shub- Apologies, no slight intended. I am not convinced by North’s analysis that he has found the ultimate source for the statement in the IPCC. I completely understand your point. Truly, only the original authors can know how the statement originated. The IPCC has been long contacted with this issue – they can surely be expected to respond. The press release from Dan Nepstad citing the IPAM website as a source for the WWF, Pachauri’s defense of the WWF report (Yale 360, April), the blinding similarity between all the statements – IPAM website, Rowell and Moore report and the IPCC report, WWF-UK’s Nussbaum statement that it originates from the “respected IPAM” and its ‘text’ called ‘Fire in the Amazon’, and the fact that all experts supporting this statements have thrown up every possible Amazon paper as a reference but none of them actually do – all these tell a different story however. If a knowledge management philosophy were to be applied in documenting the sources of science-based conclusions, the individual subcomponents of any given conclusion would be directly cross-referenced to the documented analysis, documented research, and documented evidence that supports the conclusion. This is where science which supports public policy decision-making ought to be headed, in my opinion. They simply don’t get it. The climate science is way too sloppy. It is not a valid defense to indict the rest of science. If the rest of science is just as sloppy, then the rest of science isn’t worthy of public policy, either. An important goal of the knowledge management philosophy is to influence the overall process in ways which improve the quality of the science product being produced, by directly and indirectly putting pressure on the scientists to take a more disciplined approach not only in organizing and documenting their research, but also in performing that research as well. If all thst knowledge management did was simply to provide for easier access for review, and nothing more, it wouldn’t be worth the time and money spent on it. It’s the collateral benefit of putting pressure on the scientists to improve the quality of their work which is the true value of taking a knowledge management approach. If this were in an engineering field, rather than academia, then the correct reference of the citation would be given in the report. A report verifier would verify that the report correctly referenced the citation and that the citation stated what was claimed in the report. Unfortunately the IPCC does not work with proper procedures and academia is happy to do sloppy work. All very unsatisfactory. Roger, any suggestions? The reference to Nobre et al. (2005) in the paper you link suggests that “[..] according to Nobre et al. (2005), the existing studies suggest [..]”. So the Nobre et al. doesn’t itself sound like a primary source of data, and could (as far as we know right now) just as easily be referring to the same IPAM “Fire In The Forest” website screen-grabbed at the top of this piece. I’m left feeling that, once again, we’re left trying to prove a negative. Lewis’s defence of the 40% claim, in his PCC submission, is clearly malformed. Where IS the proper, peer-reviewed source of the IPCC assertion? If it exists, surely a climate scientist (other than Lewis, or perhaps in a new effort from Lewis) would have stepped up to clear all this up by now. No? Lewis’ PCC submission expresses uncertainty about the origins of the 40% IPCC claim. Nepstad points in the direction that North pursued. At a minimum, Nobre et al. 2005 is required to be comprehensive. It may lead back to the same place, but maybe not. Someone with access to a Brazilian library is needed to obtain it as it does not seem to be onlinr. No citations. I wouldn’t expect a Scientific American article to contain citations for this either. No citations are provided. The same paper remarks that “there are perceptible differences across climate models, a result of the fact that these models are quite convergent regarding temperature, but not as regards the hydrological cycle. Some models predict reduced precipitation over the Amazon, some do not suggest any change, and one of them projects increased rainfall”. This assessment does not coincide with the IPCC, which shows a clear trend to increased rainfall over the rainforest, resulting from a majority of models (the IPCC figure states that no projection is shown for areas with less than 65% of models agreeing). L. R. Hutyra, J. W. Munger, C. A. Nobre, S. R. Saleska, S. A. Vieira, and S. C. Wofsy. Climatic variability and vegetation vulnerability in Amazonia. GEOPHYSICAL RESEARCH LETTERS, VOL. 32, L24712, doi:10.1029/2005GL024981, 2005. It does seem strange to me that Lewis, an eminent scientist with particular expertise in Amazonia, can’t immediately and accurately point to the source of the IPCC claim. It has to have come from somewhere near, or at, the “top of the heap” since the IPCC brings together an assessment of prevailing scientific understanding. The 40% claim source sure is proving elusive, given its credentials. I must fix the washer on my sarcasm tap. IIRC The biodiversity folks use a multiplier to determine loss of ‘rain forest habitat’. I.E. If someone cuts an 8 foot wide road thru the rain forest, the biodiversity folks calculate a loss of habitat 1/4 mile to each side of the road. Of course, the WWF’s primary mission is ‘biodiversity’. It’s quite conceivable, even probable that a 10% loss of rain forest would translate into a 40% loss of ‘rain forest habitat’ using ‘biodiversity math’. I am getting the impression that there is some difficulty in correctly identifying sources and locating them once correctly identified. Is there not an accepted uniform style for citing papers? Science and law share some attributes, one of which is the need to identify authority to support a given statement. No one should just take my word that the law on a given topic is “x” any more than anyone should just take a researcher’s word on a scientific matter. That is why in legal writing, the statement “[t]he duty to disclose a material fact arises when one party knows that the other party is ignorant of the true facts and does not have an equal opportunity to discover the truth,” is followed by a citation to the authority for the stated proposition of law, in this case, Miller v. Kennedy & Minshew, P.C., 142 S.W.3d 325, 345 (Tex. App.–Fort Worth 2003, pet. denied). The cite form, “142 S.W.3d 325,” is uniform and makes it easy to locate the Miller case and determine whether it actually states, “[t]he duty to disclose…” Moreover, accessing the cited authority is rather easy and can be done online or by accessing print versions. Any lawyer who is sloppy in citing sources risks losing the argument when the judge can’t verify the citation. Any lawyer who is fool enough to cite a source that does not support his argument risks being punished. There really cannot be a mystery as to the source. The 40 percent figure in IPCC Chapter 13 is referenced to Rowell and Moore 2000 – there is no dispute about this. The relevant passage in R&M is actually not referenced at all. However, the publishers of the report, WWF, say that the reference is Fire in the Amazon, IPAM 1999. They have now supplied a copy of the text, which is on the IPAM website archive. QED. We even have a signed confession … should we get one in blood? The probable author of the IPAM website is Nepstad, although no author is identified (even in the source code), there is no attribution and there are no references. Possbily, Nepstad made up the 40 percent figure, but if you read the website, you will see that it refers to the are of (Brazilian) forest which could become vulnerable to fire. In a series of comments on WUWT, Nepstad claims the “slight reduction” in rainfall has to be read in conjunction with ongoing severe drought. In other words, where the forest is already under severe stress, an additional (slight) drop renders it vulnerable (to fire). This, of course, is not what the IPCC claims. Thus, in an original form, the support for the IPCC quote probably does not exist. It is a fabrication by the IPCC. It is not even supported by Rowell & Moore (which refers to Brazilian forest when the IPCC refers to the whole of Amazonia). It seems to me the lead author(s)/authors of the IPCC chapter should state exactly where the information/story came from and who created it. Unless the IPCC can get them to do that, then the IPCC report is trash (or deliberate deception) and should be placed in the round green filing cabinet. The IPCC must come clean. The impact of a marginal drop in precip might make some sense in the context of a prolonged drought – it is a “rain” forest after all. So to what degree is this drought a product of natural climatic variability? This is what IPCC must answer in order to put the statements in proper context. Wouldn’t this imply a positive fedback that would make the 40% claim at least plausible? 40%? Possibly. Still worth an audit. There is ample ‘real-world’ evidence that the Amazon is these positive feedbacks do not seem to operate as they have been expected by certain groups. The assumption of these groups is moisture stress->tree mortality->carbon loss->climate change->less rain->moisture stress. If the Amazon ‘rainforest’ were to be so rain-dependant, why should it have roots running to 20m? What is this 55-million old forest doing here? It should have ‘flipped’ long ago. What is holding it back? Obviously there seems to be a failure to understand the physiological before speculating on the pathological. The undisturbed Amazon upper canopy greens-up during the dry season. This finding has been gaining ground, surprisingly, only over the last 5 years or so,. However this has happened during the same period the models have been predicting ‘carbon loss’ from reduced precipitation based on tower measurement data. The models derive Amazon precipitation in a crude fashion and therefore the forests become very susceptible to rainfall (being challenged by Saleska et al 2007 and now Machecha et al, 2010). The remote sensing teams see the other side of things (the greening-up) during the dry season – they believe there is distinct evidence for the sunlight-limited growth of moist tropical forests such as the Amazon. Now, obviously there is a disconnect and therefore a very active discussion in the literature (with people excitedly citing blog posts in their review articles! – Asner and Alencar 2010). The remote sensing teams – for eg Myneni’s team does not believe that the Amazon precipitation sensitivity was derived right. He termed it “alarmist”. Jose Marengo had some nice things to say as well, which he rescinded upon, presumably wishing to stay out the Amazongate politics. Do you see any remote sensing papers and data cited in the IPCC Amazon section? No. Why? Nemani et al 2003 (NASA) – shows a NPP increase globally from 1982-1998, the Amazon gained the maximum and is sunlight-limited, not moisture limited. Philip et al 2009 – show massive tree mortality in 2005 drought. Everyone forgets to mention that they think it is the fast-growing trees that died the most. Your “argument” – it’s too shallow to be called an argument – is refutible. Why don’t you tell us where its weaknesses are, so that I don’t have to point them out for you? You assume a threshold for precipitation sensitivity for the Amazon. If that is the case, it should be up to you show that such sharp thresholds exist and they will affect 40% of the entire forest. I hope you are aware of how this sort of numbers pop up from. Try spending some time pointing out ‘weaknesses’. (As if I had to make up theories to show why the Amazon won’t fall off tomorrow). I am sorry, Bender. I think I have failed to understand your question. Let me backtrack to your original response to original question to Richard North above. I am in complete agreement with this question and position. What does the IPCC mean when it says “slight reduction in precipitation” causing “rapid shifts”? Just to take one example, if we look at the experts who support this statement, they have offered different interpretations themselves. Simon Lewis on RealClimate stated that the IPCC is very obviously talking about a transistion to a lower precipitation climatic regime, chastising author Samanta for having believed otherwise. Clearly, in the above passage, he is suggesting that forest response to single-time events such as the extreme drought of 2005, lend support to the IPCC statement. Which one is it? Which meaning of this “poorly worded”, “badly referenced” statement is intended? The experts have been telling us – “the right meaning of this wrong statement is right” – via press releases. On top of this, Nepstad states at WUWT that the terms “even a slight”, “drastic” and “severe”, as used, are not quantitative terms. As for the putatuve ICTZ shifts, they have occured in the past, producing increased rainfall. They can shift, decreasing rainfall too. But would that qualify for a “slight decrease in precipitation”? would that (a shifting of ITCZ) qualify for a “slight decrease in precipitation”? But … we are talking about a (relatively) “slight” shift in the atmospehric circulation. Granted, this is not the argument (as I understand it, and as we are discussing here) pur forth by IPCC, it is still a relevant argument. Lastly, your argument that the existent of forest cover today implies that natural cycles of decline must not be that severe is ludicrous. Forests can (and do) recover after huge climatic shifts. If you are going to try to refute arguments from first principles please make use of demonstrable/citable fact and try not appeal to personal pet theories. You seem to argue that “40%” is an unreasonably high number. So there is a burden of proof is on you. Those arguing the 40% also bear a burden of proof. Proof is a shared responsibility. Don’t pretend that one party is more obliged than another. Me, on the other hand, I argue that the source of the number is worth questioning. I do not, like you, take the view that it must be wrong based on argumentation from first principles (Steve M disfavors such arguments). I as merely asking what the evidence is. To suggest there is a heavier burden of proof on me is ridiculous. I observe a coincidence between ITCZ and global forest cover and you argue that “rain” forest is a misnomer. You haven’t addressed my evidence. In fact you have dodged it. Does 760 litres per tree (and 76,000 per acre) seem seriously low to you? I don’t know – I think we need to ask Rhett Butler! The point I was trying to make was – that the Amazon is a “rain” forest is a cliche. Please respond to my earlier question about the ITCZ. and if as the GISS ER GCM projects there is no change in the ICTZ for the period 2100-30 the projection is for a 10% increase in annual rainfall and a reduction of the dry season by one month. so supposition is just that and meaningless in terms of the science. Either I misunderstood you or your irony meter is busted. But … you do accept the possibility that % forest cover in the Brazilian Amazon might be sensitive to the position of the ITCZ? Then please talk to Shub, and explain him the fallacy of linear response. My evidence is not a single model, only 2 of 19 models forecast a rainfall regime that support a change in position of the ITCZ. While I accept the possibility that % forest cover in the Brazilian Amazon might be sensitive to the position of the ITCZ based on my understanding I think it is highly unlikely. Similar to my position on CAGW actually. And what’s your evidence that these 2 models are wrong and the other 17 are right? Frankly, I thought Rhett was more into wind rather than rain. It is indeed possible that I am not understanding your point on a “rain” forest. The earthobsevatory link you gave suggests to me that the researchers involved expect intuition to come from a textbook – the link is instuctive – but does not reflect favourably on the people involved. Or was that your point? not really as the transpiration occurs during the dry season when the trees draw on moisture from deep tap roots and redistribute it through to the upper soil levels as well as triggering the transpiration process. Proc Natl Acad Sci U S A. 2009 June 30; 106(26): 10582–10586. This article addresses climate-tipping points in the Amazon Basin resulting from deforestation. It applies a regional climate model to assess whether the system of protected areas in Brazil is able to avoid such tipping points, with massive conversion to semiarid vegetation, particularly along the south and southeastern margins of the basin. The regional climate model produces spatially distributed annual rainfall under a variety of external forcing conditions, assuming that all land outside protected areas is deforested. It translates these results into dry season impacts on resident ecosystems and shows that Amazonian dry ecosystems in the southern and southeastern basin do not desiccate appreciably and that extensive areas experience an increase in precipitation. Nor do the moist forests dry out to an excessive amount. Evidently, Brazilian environmental policy has created a sustainable core of protected areas in the Amazon that buffers against potential climate-tipping points and protects the drier ecosystems of the basin. Thus, all efforts should be made to manage them effectively. The ecosystem analysis suggests that, even with high levels of deforestation, desiccation-driven savannization is not an immediate threat to the Amazon Basin. As such, the results support state-based governance of AML insofar as the spatial disposition and size of Amazonian PAs mitigate the climate impacts of deforestation on resident ecosystems, particularly in drier areas in the south and southeast basin. If their conclusions hold even with very high deforestation (“all non protected areas are deforested”, a tall order indeed), they would hold ever more solidly under the ongoing spectacular reduction in rates of primary deforestation (currently down to 0.13% of the forest per year), and concentrated at very few areas, especially in the State of Pará. Annual deforestation was about 25,000 sq km/yr up to a few years back, but has been decreasing steadily in the last 5-6 years, down to about 7500 sq km/yr in the 12 months to August 2009 (data to August 2010 will be known by October-November 2010, but preliminary data on deforestation “alerts” point to a further reduction this year: see http://www.inpe.br). It is also important to note that about one half of primarily deforested areas revert to a forest land cover through secondary regrowth; net forest area change is thus significantly lower than gross deforestation: see Ramankutty et al 2007. Ramankutty, Navin; Holly K. Gibbs, Frédéric Achard, Ruth Defries, Jonathan A. Foley, R.A. Houghton, 2007. Challenges to estimating carbon emissions from tropical deforestation. Global Change Biology 13:51–66, doi:10.1111/j.1365-2486.2006.01272.x. The idea that the rainforest (which not all of the “amazon” is) is sensitive to drop in precipitation is false. It gets too much rain. The response to the drought being discussed above was that the rainforest increased it’s productivity, because it is so cloudy there all the time that plants are light starved. Less rain is still plenty, but with more light they grow more. However, the literature about loss of forest is for the DRY forest which could be at risk for conversion to savannah. Many people conflate AMAZON with rainforest, but much of the basin is NOT rainforest but drier forest. Note also that some of the quotes from papers above say x% of the forest is at risk of reduced density of trees–this does not mean loss of forest (even if it were true, which I doubt). There is also an oscillation in the rainfall of the Amazon on about a 60 yr cycle, with the northern half of the basin getting more rain, then the southern half (each for about 30 yrs), so picking dates for looking at trends is key. The idea that the rainforest (which not all of the “amazon” is) is sensitive to drop in precipitation is false. There was a news item about the rain forest response to the recent drought of a few years ago, and they were surprised that primary productivity increased, for the reasons I gave above. I can’t find the source right now, but I am sure I read that. I should not be surprised (but I am) that they would be surprised. Increased leaching of nutrients and increased cloud cover, leading to a lack of of sunlight, should give a negative response. You will find this view supported by Huete et.al Geo. Rsc. vol.33 2006. Insofar as it represents the hydrology cycle of Amazon dry forests. Ok, so this GRL06 paper, according to you, suggests that “bone-dry is great”? Have you thought about how greenness is a very obscure correlate of biodiversity – that two forests of equal greenness may have completely different species compositions? The problem of seasonal greeness is so tangentially related to the process of drought-related dieback and the knock-on effects in terms of biodiversity responses, that in can fairly be said to be virtually unrelated. Unless Steve wants to start a new thread on this topic (it’s not, strictly speaking, about “amazongate”) where people like Craig Loehle and Craig Allen would be willing to comment, I think our conversation is over. You want to read posts and infer about what’s going on in my mind? So much so that you are reading others posts and inferring what I am thinking or reading up? Maybe it is the conversation threads and your posts got mixed up? You seem to be confusing ‘green up’ with greenness. The problem of ‘seasonal greenness’ is *directly related* to the problem of drought-related dieback. Your issue with this regard is not with those of us who say this (simply because you appear to be hostile at the moment). It is with people like Myneni who felt it was related. As for your “slight changes” idea, please see Marengo, 2009 for secular and short-term non-model trends of the Amazon system response to rainfall changes. Reading your various (scattered) responses, I can only conclude that you got your feathers ruffled for some reason and refuse to offer your fellow commenters a fair hearing. I am sure you’ll read the same papers at a later time and reach a different position. The issue of what the real science on the ground about the Amazon is relevant, for the sheer reason that, those who supported the Amazon IPCC statement, cited numerous papers, published after the AR4 in its support. It is only natural to point out that an even-handed search of the literature throws up other papers which offers other perspectives as well. These papers, on the face of it, seem contradictory to the precipitation sensitivity promulgated (by WHRC/Leeds/IPAM). More work is obviously needed. Look at all the papers that have appeared since 2005 on this matter and imagine what a short assessment statement IPCC-style would read like – will it come out the same as the one from the AR4? That is the question. No, I am not confusing greenness with “greenup”. You are. I am the one explictly de-conflating your conflation. “Greenup” is in the title of the paper you cited. That’s why I refer to it. It is greenness that matters, not “greenup”. But even there, decsdal trends in greenness may or may not be an indicator of biodiversity responses to those variables driving the shifts in greenness. Conversation closed unless Steve indicates interest otherwise. Let me clarify one thing. I did not “cite the paper”. Allen did. You asked for a link and title – I helped by providing it. I don’t know if you helped or didn’t. Allen cited a “Geo. Rsc.” paper. You cited a GRL paper. Moreover, when I pointed out the inequality, you chose not to comment. More than one person here is of the opinion that the 40% number is bunk, so pardon my lumping of you into one class. I think it’s perfectly understandable. It is the same paper. That’s for Allen to say, not you. Your combative tone is undecipherable. You said “I chose not to comment” – that is why I stepped in to say – “same”. Anyway, one more round of news: Dr Ranga Myneni has stepped in to offer his views. 2) I am somehow underplaying the fragile interconnected nature of the Amazon forest system. I am not doing that here. “Bone dry” is not “slight reduction in precipitation”. The putative existance of thresholds does not imply “changes towards the threshold” will produce the same changes (Re Lewis’ letter). Dry season does not equal drought either, and I spoke of dry season leaf-gain. I dont think you read me clear on that one as well. What, on the other hand, I was trying to draw attention towards, was the fact that, there is ample literature available, both pre and post AR4, that have not been considered by the IPCC, which offer different perspectives. These have been ‘systematically’ (for lack of a better word) neglected, by those who support the Amazon IPCC statement after it was pointed out that it sounds screwy. If by doing so, I gave rise to an impression that I am formulating some new theories, that was not the aim. Neither does it mean that the Amazonia is all hunky-dory. May I add to Shub’s citation of Lewis that the extent to which the forest “is destroyed to grow crops and biofuels” is sharply declining and very small. In fact the total agricultural land of Brazil (crops plus grazing) has not increased significantly in the latest 20 years. See my references before in this thread. No, you may not, as it is irrelevant to amazongate. It is not irrelevant, methinks, when one of the main ingredients in the dieback cocktail is the relentless deforestation of the forest. Although it might be relevant for AR5, it is irrelvant to amazongate. It is not, because the Amazongate claim was based on literature that included the combined effect of warming, lower precipitation, deforestation and fire. Nepstad, in particular, has written much about that dreadful combination. I know this will make you sad, but amazongate is over. Sorry to state the absolutely obvious but I suggest commenters need to concentrate their minds on three things. Firstly, the IPCC’s report is SUPPOSED to be a balanced account of the science. Notwithstanding what anyone states above on precipitation rates, vulnerability to fire and all the rest of it, it is absolutely irrefutable that the IPCC’s account is a piece of tendentious activist shroudwaving. NOT a balanced account of the science. Secondly, this piece of shroudwaving is being used by Governments to justify spending Trillions on “alternative energy” which doesn’t really work and which is exceedingly unlikely to have any effect on climate whatsoever. Thirdly. the result of the almost unbelievable waste of resourses that this represents is one of the most obscene things I can imagine. The level of spending already (due to rise exponentially) would go a long way to provide everyone on earth with adequate food and clean drinking water, for example. By all means debate the niceties of who quoted whom and when in which report. But the cAGW religion isn’t really about science, anyway. It is about money and power. unfortunately, scientific claims are not invalidated by their consequences, but by showing lack of evidence or lack of logically derived inferences. One may be against the atom bomb, but this is not enough to refute nuclear physics. In this particular thread what is discussed is one particular bit of the IPCC reports, and related literature, namely, the claim that climate change would cause a drop in precipitation or severe droughts over the Amazon, and this in turn would cause most of the forest to flip to savanna in a very rapid way. The matter has been investigated in a number of scholarly papers published in several peer reviewed journals, although the claim itself in the 2007 IPCC report (Working Group 2) was unaccountably based on a hard-to-find report by an environmental NGO. Thus, we are all playing by the rules of the scientific game: consider each claim on its own merits, modify or demolish it if you can (with adequate reasoning and evidence), and pass to some other matter of interest as regards climate change. Some people think like you, some don’t, but none deserves to be faced with unsound scientific results. Let me add that physicists, for example, also tell you that relativity and quantum mechanics is “true” because they think they have enough proof. It is up to you to accept their judgment or to try and amass evidence and reasons to disprove those theories. If you fail, the theories stand. Science progresses through rational attempts to refute existing theories with new evidence (or in some cases showing that old theories imply logical contradictions). Hector, the basis of science is that things are proven by proof, not unproven by proof. What you might be confusing yourself with is a secondary concept in science which is that of the natural law. These are concepts which are universal in nature and which explain and combine the experimental proofs – experimental proofs that have already been proven by experimentation. In contrast manmade global warming has never been put to experimental test, there are numerous errors in the observations so great as to make the conclusions based on those results totally meaningless. To be blunt it ain’t science and to talk about global warming and quantum mechanics in one breath is an insult to the many fine physicists who have worked to develop the theories of Quantum Mechanics. Man-made Global warming is not a law, it is a poorly formed hypothesis with little or no evidence to support it. Scientific theories, Mike, can be disproved or discredited by empirical evidence. When Galileo showed that two bodies of different weights hit the ground at the same time after being dropped from a height (if he actually did the experiment, which many people doubt) he was disproving a theory of Aristotle that expected the heavier body to hit the ground first. This kind of contrary evidence is normally seen as a mere “anomaly” by those accepting the old theory, until many such anomalies pile up and the scientists end up rejecting the old theory (or stopping working with it), or as Max Planck had it, until old scientists die out still believing in the old theory, while younger ones, supporting the new theory, finally replace them. Anyway, as I said to Stephen Richards above, the comment was included in this thread by mistake, and the wording referred to a different discussion. Just a bit of nitpicking but this is only true if both bodies have identical drag forces. Only in the strict meaning that future projections of climate change can’t be compared yet to future reality. Besides that, climate scientists test their hypotheses and their understanding of the working of the climate system against empirical data all the time, like in any other science, whether paleo-data, proxy-data, or direct measurements of climate relevant variables are being used. Like the basic theories from physics, chemistry, or biology, on which the understanding of the climate system is based, are being tested as well. So, your assertion that the sets of statements, with which the climate system is being explained and based on which global warming is being projected, isn’t being tested, is just baseless. there are numerous errors in the observations so great as to make the conclusions based on those results totally meaningless. About what errors in what observations are you talking, specifically? And how would you know that those errors are too large to draw any meaningful conclusions? Man-made Global warming […] is a poorly formed hypothesis with little or no evidence to support it. If you keep up with repeating this to yourself, perhaps five times a day, in regular intervals, maybe one day it will become true what you say? Which is why they actually spend time and money and invest in expert researchers and resources (e.g. large hadron collider) to test these theories to their limits of our current scientific and engineering communities. Whereas i don’t think you could say the same about some other maybe more popular ‘scientific’ theories. Any interest here in examining the other (more recent) data that might support or refute the IPCC claim? i.e How much stock should be put, not in the 40% number, but any number? If more evidence is available I’ll be glad to know it. Up to the moment, the “tipping point” kind of model for the Amazon remains in my view purely speculative (not even mentioned in the discussion of abrupt change in AR4). Besides the idea of increasing Amazon aridity goes against the AR4 forecast for increasing precipitation and humidity during the 21st century over the Amazon region. More rainfall variability (=droughts) are also not clearly predicted, especially because no trend is discernible in ENSO (see the most recent assessment in Collins et al 2010, ref below) and it was precisely ENSO that drove the speculative turn of the Amazon towards more dryness and more frequent and severe droughts (that are not exactly droughts over the very humid rainforest). Also deforestation has sharply declined and is expected to continue doing so (see Maletta 2010, Walker et al 2008, and also Marengo 2009 on long term hydrometeorological cycles in the Amazon). Robert Walker, Nathan J. Moore, Eugenio Arima, Stephen Perz, Cynthia Simmons, Marcellus Caldas, Dante Vergara, and Claudio Bohrere, 2009. Protecting the Amazon with protected areas. PNAS 2009:10582–10586. José A. Marengo, 2009. Long-term trends and cycles in the hydrometeorology of the Amazon basin since the late 1920s.Hydrological Processes 2009, DOI: 10.1002/hyp.739, http://www.sbmet.org.br/artigos/_artigo23/marengo2009.pdf. Maletta, Hector. Facts and debates on the future of the Amazon forest. Working paper. PDF at http://ssrn.com/abstract=1509603. Mat Collins, Soon-Il An, Wenju Cai, Alexandre Ganachaud, Eric Guilyardi, Fei-Fei Jin, Markus Jochum, Matthieu Lengaigne, Scott Power, Axel Timmermann, Gabe Vecchi and Andrew Wittenberg, 2010. The impact of global warming on the tropical Pacific Ocean and El Niño. Nature Geoscience, published online, doi: 10.1038/ngeo868. To explore your hypothesis a bit further, on the point of “I hypothesize that (a) Nobre is responsible for the 40% statement in the IPCC”. So is it not fair to conclude he (a lead author) suppressed inclusion of his own work in regard to the IPCC 40% representation, since he had an obligation to include a full range of papers on the subject. That is if the hypothesis is true. We do not know if the 40% number is reasonable, merely that it is unsupported by any peer-reviewed literature cited by IPCC. That, together with the evidence produced of the correspondence between Leake and Lewis, should be enough for Times Newspapers to retract their retraction. How can the “40% number” be even remotely taken seriously after taking note of all of the mega-droughts in the past three millenia of history and mega-years of prehistory failed to replace this ITCZ supported rainforest with savanna? How can you ignore the drought history of Amazonia during the 700-900AD period without severely criticizing the “40% number” and related claims? The forest may go through natural drought-driven cycles of collapse and renewal. That doesn’t mean that all the animals that inhabit that forest get the same opportunity to rebound. That’s one way that the 40% number might be propped up – if you expand “forest” to include floral and faunal constituents of that forest. What impact does a megadrought have in an LIA type climate vs one that is 3C warmer? Does the extra warmth & drying produce a rising nonlinear impact? Maybe. I think that’s the thrust of Nepstad’s fresh line of argumentation at RPJ’s blog. How one gets from “slight reduction in precipitation” to unprecedented droughts is beyond me. In other words, Nepstad is claiming that the IPCC statement actually means the literal opposite of what its says. The answer could be simple. Add the CAGW drop in precip & rise in temp to a natural megadrought cycle coincident in the background. Someone earlier perjoratively referenced the nonlinear arithemtic of biodiversity? Well, nature’s nonlinear, folks. There is no expected drop in precipitation in AR4 prospects for precipitation over the Amazon, although of course those models “have no skill” (one wonders why they are there, if such is the case). 1. If the models are bunk, why do you cite them? For the sake of being combattive? 2. Rise in temp IS predicted, no matter the model. And last time I checked, evaporation rates increase at higher temperatures. Has anyone quantified what a “slight drop in precipitation” amounts to? if there is now to be a broad discussion about what 40% of the forest means then perhaps there should also be a broad discussion about what slight drop means. Key to all of this is the intended use of the IPCC report. Is it the case that every sentence in the report needs to be parsed as if it were a legal document in litigation. Does 40% of the forest mean 40% of the trees or 40% of trees and animals. How would even a careful reader of the IPCC report be able to come to a conclusion on this? Lawyers talk about the four corners of a document. Is there a way to determine the answer to the question of what slight drop means contained within the four corners of the IPCC report? If not then the document is as Feynman said about other things “not even wrong” which is much worse than being wrong. If 40% means anything that one wants it to mean then of what use is teh IPCC document? You failed to address my substantive point, which is the failure of Roger’s imagination. Instead, you chose to nitpick. Curious. My “ill temper” is explicable by the fact that people are citing papers (incorrectly) and claiming they say things that they do not say (Amazon green-up in dry season implies climate warming good), all the while dancing around the core issue (greenness can rebound; to hell with biodiversity) in a vain attempt to bid the 40% number down (when RPJ’s already proven the source of that number is unreliable). You are not a physicist, thats for certain. We do not say “thats true”. What we do say is ” thus far our mathematical model can be verified, validated and tested and under certain conditions our model relates well to the reality. We can also say that when our model predicts something, like the existance of a particle, we can formulate an experiment to search for it. We do not say that this particle exists until it is found and then mathematically proven. GCMs have never been able to do that! I suggest that you read a little history of physics and maybe the life story of the greats like Richard Feynman. You will note, we you do, that there is no similarity between real science and real climate. Actually, Stephen Richards, the comment iof mine that you refer appeared here by mistake: it was intended for some other blog, in response to some guy that had used the same words (“scientists tell you that this or that is true”). I’m no physicist indeed, but I had done my bit of epistemology and fully agree with you. Bender is not ill-tempered, merely passionate. The IPCC’s glass is always more than half empty. ‘Up to 40% vulnerable to’ is perhaps more correctly stated as ‘at least 60% immune from’. Bender, 40% of a forest is not equivalent to 40% of its biodiversity. It is 40% of the forest. The figure, as far as I can see, is totally unsubstantiated. The eventual loss of biodiversity due to forest shrinking (caused by fire, deforestation, dryness or whatever) is a different question altogether. Do you think it’s some abstract measure of “greenness” that WWF cares about in the Amazon? How am I supposed to answer your question? Are they “little green men”? Concern is an attitudinal disposition, best studied by social psychologists. We are discussin science here. If a right’wing warmonger like Edward Teller discovers anti-matter, and a socialist-pacifist like Albert Einstein discovers relativity, I don’t care about their ideologies at all, but about the validity of their theories. But the claim was not that 40% of the forest would be affected in some indirect way, but that 40% would be savannised. It was not either that the savannisation would be the result of five years or more of continuous severe drought as nobody has seen before in recent centuries or millennia, but that it would follow after any small drop in precipitation. You are unquestionably correct about the meaning of “40% of the Brazilian forest”. Thus I think the claim of a tautology is unfair. The concept of ‘being extremely sensitive to small reductions in the amount of rainfall’ could, I think, contain at least some of the consequences that Bender has identified, which might (over significant portions of that 40%) NOT be coupled with savannisation, isn’t that true? Or am I somehow looking at this wrong? If it’s true, then that suggests to me that the original Rowell and Moore statement (unsourced and unjustified as it may have been) could actually have more merit than some on this page have given it credit for. It has already been conceded that IPCC goofed. So give it up. The next question is what a correct statement of impact would look like. Is that comment addressed at me or Hector M.? Because I agree completely, but if you’re addressing me me with that, you must have somehow misunderstood me. It was directed at Hector M.
If one is going to flog the dead horse of amazongate and AR4, that’s fine. But if you’re going to try to propagate a belief that the amazon is totally not at risk, then you’d better be prepared to look at ALL the literature, including the most recent stuff, and not just the trash that AR4 relied upon. I wouldn’t harp on this except that Hector’s been caught on several points with a couple of porkies. And when he’s outed he moves on like it never happened. a) When does Amazongate die? b) Did it ‘die’ on its own? c) Isn’t it surprising that a search for the true precipitation sensitivity of the Amazon began right after Amazongate ‘died’? You should be used to this kind of a thing – if you question ‘X’ hypothesis, it does not mean that you hold ‘Y’ to be true. Doing this amounts to playing tricks. (a) A few days ago. (b) No. The core issue was resolved by the efforts of outsiders. (c) False. People have been researching that parameter for decades. Your advice plays in my favor. I question the 40% number as much as any one. That does not mean I believe the correct number is 0%. If Hector M wants to play authority, he should tell us his number, or failing that, give us his assessment of the literature. Me, I would not even be in this thread were it not for a few people playing authority where they have no business doing so. I’m no authority. But at least I know it. The problem, Shub, is that the popular media is over-reacting to this revelation. According to your link above, The Sunday Times says “UN climate panel shamed by bogus rainforest claim” – when in fact no one has proved the “claim” is “bogus”. All that has been proved is that the source of the claim is not credible. There is a difference there, and if you don’t care to take note, well, that says something about your ability to audit. Then we have a Canadian newspaper parrotting much the same message, when the fact is that the credibility of the source of a three-year-old IPCC 4AR statement bears only tangentially on the veracity of the claim. So you tell me: who here is not doing their due diligence in fact-checking? Lots of blame to go around, it seems. This mere fact speaks to the importance of the Samanta paper in a scientific sense – it takes down the precipitation dependence of the Amazon that we all supposed to believe. when you had an opportunity to put gareth straight on that paper. Let me therefore take this opportunity to put you straight. That paper studied greenness changes over a limited time-frame that included a brief drought, but did not not include a prolonged megadrought. Therefore your conclusion that these forests must not be moisture-limited is incorrect. While no evidence was found in the period 2000-08, this is not a very long period of time to get an adequate test of the hypothesis. Thanks bender: Using this opportunity, I would like to point out I do agree with your basic position which you tried to convey through, what has been called, “ill temper”. If we say “the IPCC statement is wrong” – it obviously opens the gates to thinking/saying – “is the opposite true then?” It is pretty obvious that the scientists concerned with the Amazon do not want this to happen, and we, as outsiders, should be responsible and cautious in this regard and lend them support. Of all the things that could be true, the opposite (of the IPCC statement) could be true too, but the probability for that would be minimal. That said, ‘Amazongate’ would die only if we get a statement from the IPCC on what their position is. You might get that statement, in AR5. You might not. You surely won’t get anything before then. Happy auditing. There are three aspects and those of us are going through the three things in parallel. 1) Is the IPCC claim, in the way it has been written, supported by any literature? 2) Do the new papers being cited to support the IPCC claim actually support it? 3) Since some time has passed between 2005 and now, are there other papers saying anything else? With regards to (1), The IPCC/WWF got the full benefit of doubt. They said “respected IPAM Brazil supports claim” in Feb and we simply swallowed it (Maybe North is the only one who didn’t). 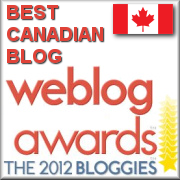 I would say, the skeptic blogs completely failed to follow through on this. Are you saying that a audit of this situation required going through 1),2) and 3) completely, before saying *anything* at all? That is not needed – in this case. An analogous situation in something else, maybe, but not in this case. Why do I say that? Simply because the experts who defended the meaning of the statement argued so vehemently for the statement itself, and by extension, even for the analogous statement in the WWF report too (!) They never conceded any aspect of this statement. “Yeah, it is goofy, bad, no ref, yada yada, but, it is fully true”. I dont believe that one moment. Secondly because when we now knew that the real origin of the statement, and that was unsubstantiated and removed so much in time and meaning, from the science that has sprung up later, and supposedly supports it. About Samanta et al later (post getting long). This is indeed a tautology. You respond to point #1 above. How about #2 and #3? so you really do need to check it out. You’re welcome. It was not either that the savannisation would be the result of five years or more of continuous severe drought as nobody has seen before in recent centuries or millennia, but that it would follow after any small drop in precipitation. I’ve already replied to this, so please stop wasting bandwidth repeating yourself or parrotting RPJ. Search this page for “failure of imagination”. Here we go again. Right in the title of the article, they’re questioning the claim, when what they really ought to be questioning is IPCC’s due diligence process. To refute the claim requires a lot more than just proving that IPCC goofed up three years ago. In the past 3 years much has been learned that was not available to 4AR. This short comment of yours is so important that a new thread might be considered, not just on this topic, but overall. Custom-designed satellite results, calls to rework the temperature record for the recalibration of so many proxies, new interpretations of dendroclimatology, the actual performance of large alt energy installations (Spain), Gen III & IV nuclear reactors; there are many items to reconsider since AR4. Now is the time, not after the next IPCC Summary for Policymakers. One still notes the lack of a definitive paper on the quantitative effects of CO2 and forcing.